Posted: March 5, 2013 | Author: thelondoncolumn | Filed under: Dereliction, Monumental, Vanishings | Tags: Gasometers, Haggerston, Regents Park Canal | Comments Off on After the Gasometers. 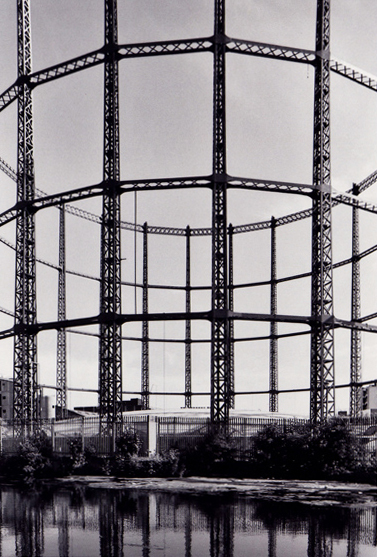 Gasometer, Regents Canal, Haggerston. © David Secombe 2010.
from Regents Canal to Stepney Green. that danced at sunset through the rings. … from Egg Printing Explained, Salt Publishing, 2011.